We embrace the outdoors at Quinebarge – a premiere White Mountains summer camp. Campers spend all day playing and learning outdoors – on the lake, in our 30+ acre forested Nature Lab, or simply throughout camp! One of our longest-standing outdoor programs is hiking. We offer hiking trips every day, along with off-site camping and canoeing every session. Among our favorite destinations are the peaks of New Hampshire’s White Mountains. 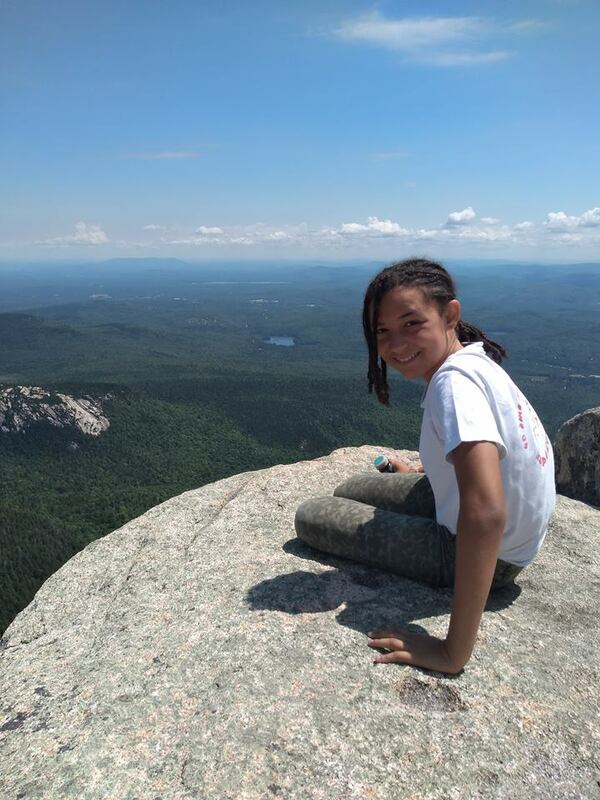 Whether your child is a seasoned hiker or a total beginner, there is a place for them in our Trips Program. We offer a wide range of optional hiking opportunities for campers at every level. 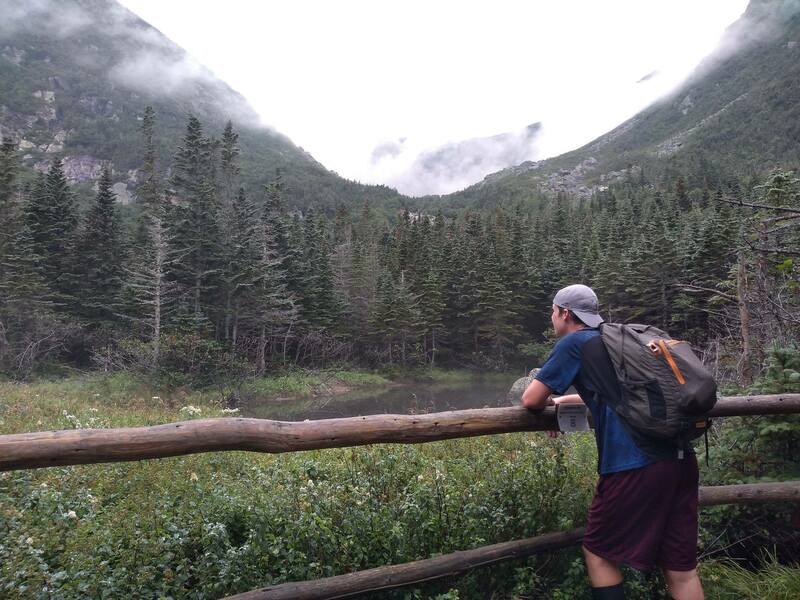 Campers begin each session with easier trails such as West Rattlesnake, and work our way up to Mount Washington – the highest peak in the eastern United States. By gradually increasing the difficulty of their hikes over time, campers grow in strength, stamina, and confidence during their weeks at camp. Our expert, safety trained Trips leaders support campers along the way, teaching lessons in safety, environmentalism, and grit. Nearly every experience in life is more fun when a friend joins you. This goes double at camp, and we take friendship seriously. 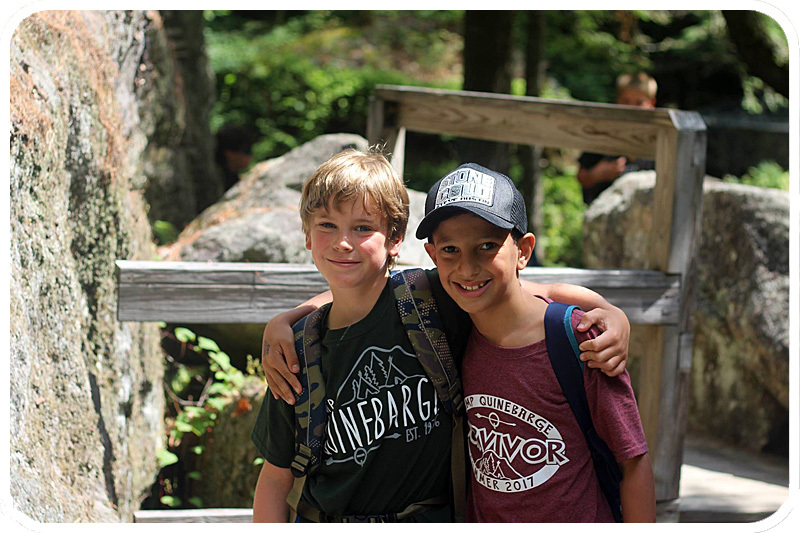 Counselors help each camper make new friends through intentional icebreaker and team building activities, followed up with special events and activities for each age group. These bonds are solidified as campers share experiences at their activities, on hikes, and throughout Camp. A line from one of our favorite songs goes “Friendship is everlasting, here at Camp and later on,” and we can promise that your child’s camp friendships will be exactly that.